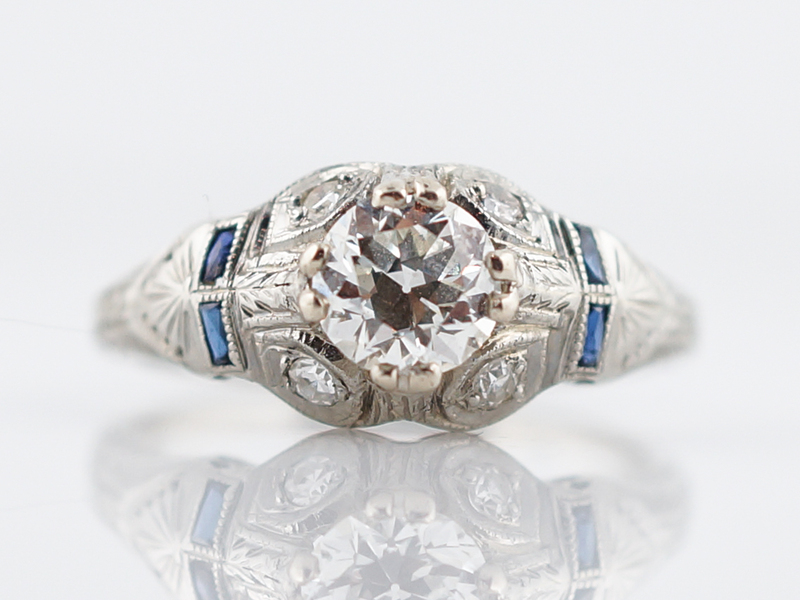 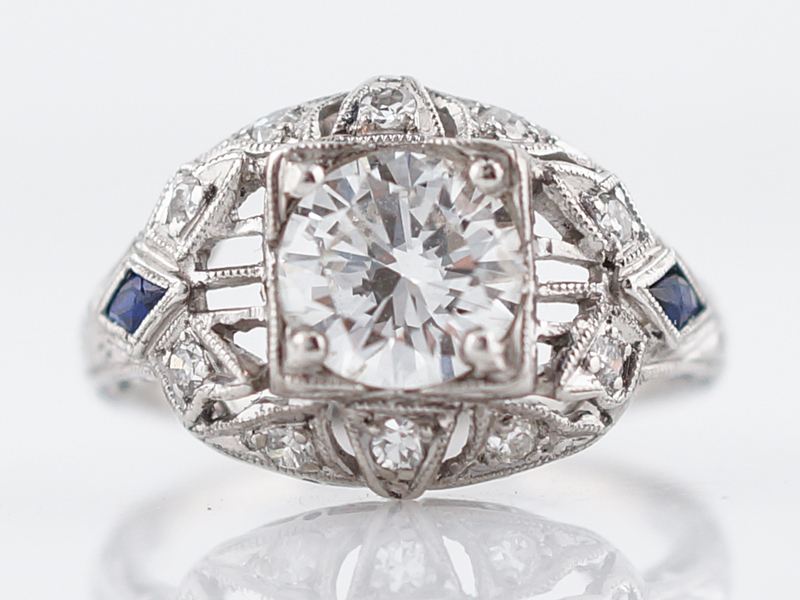 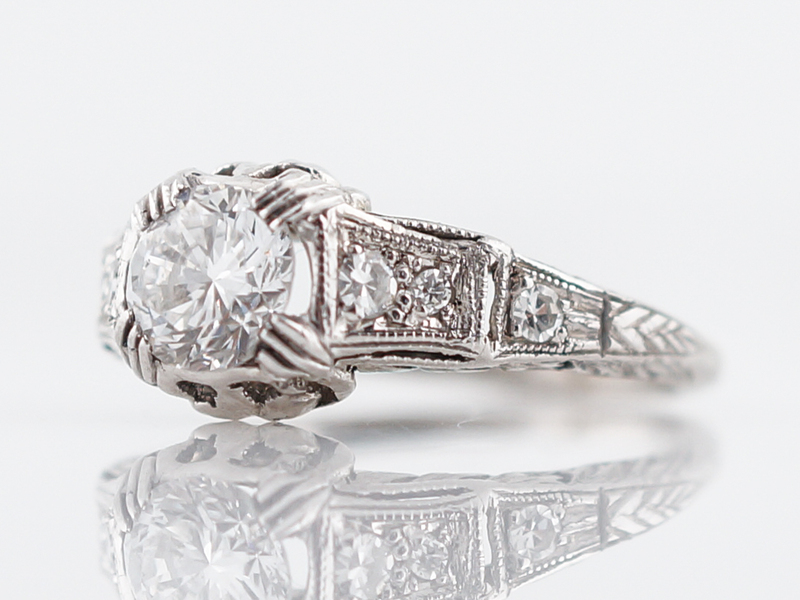 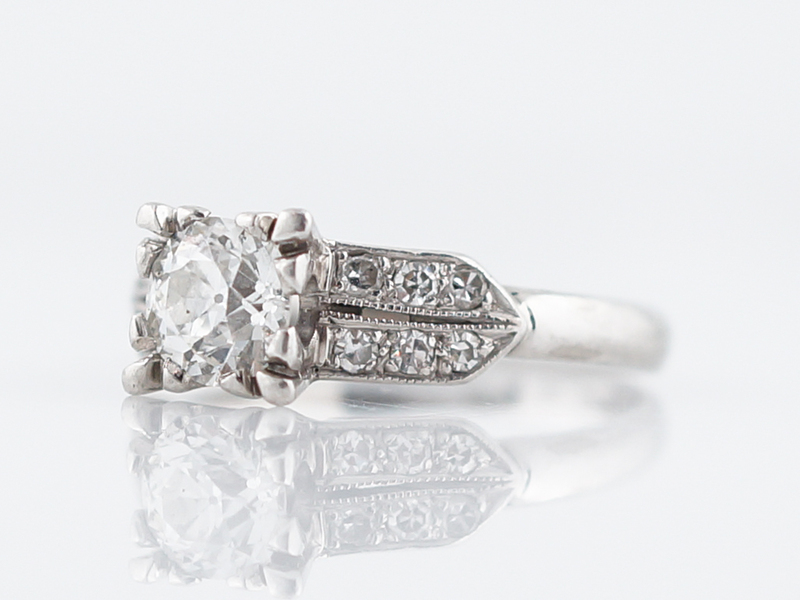 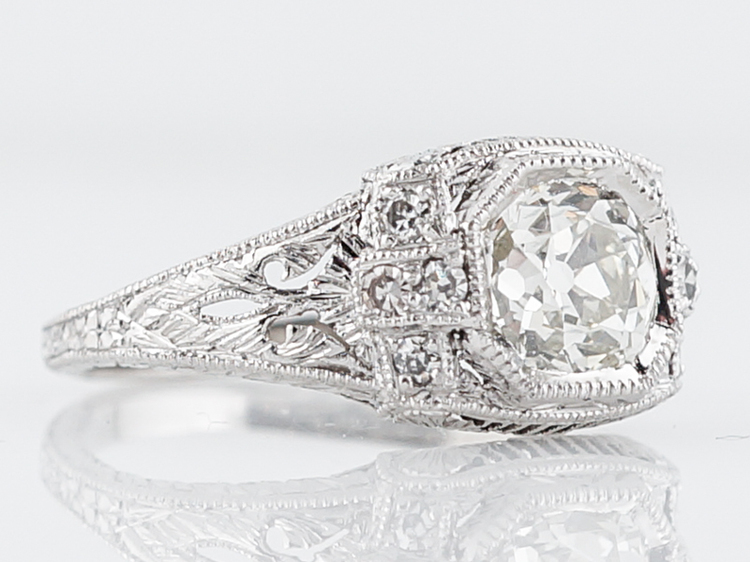 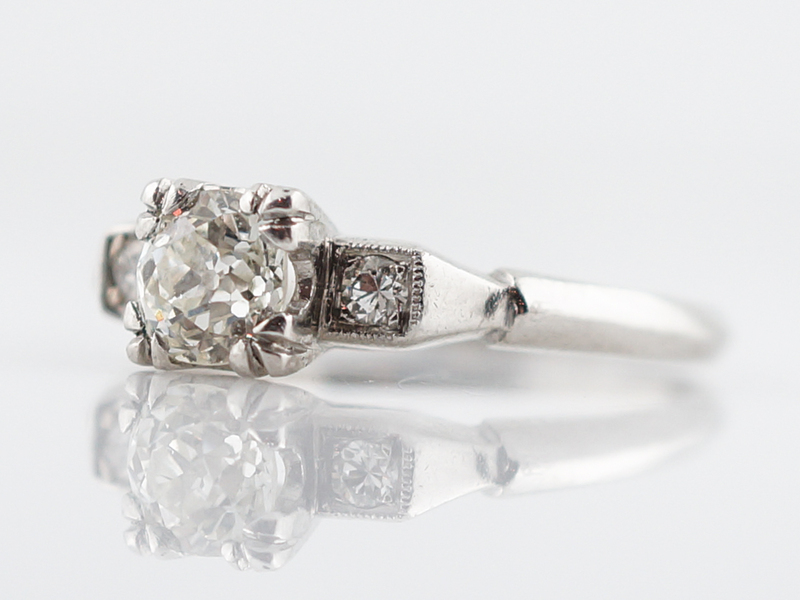 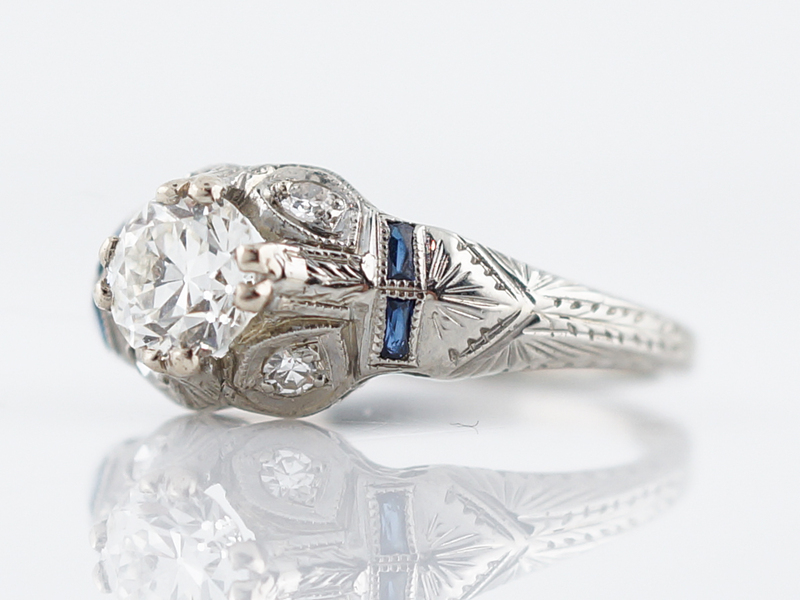 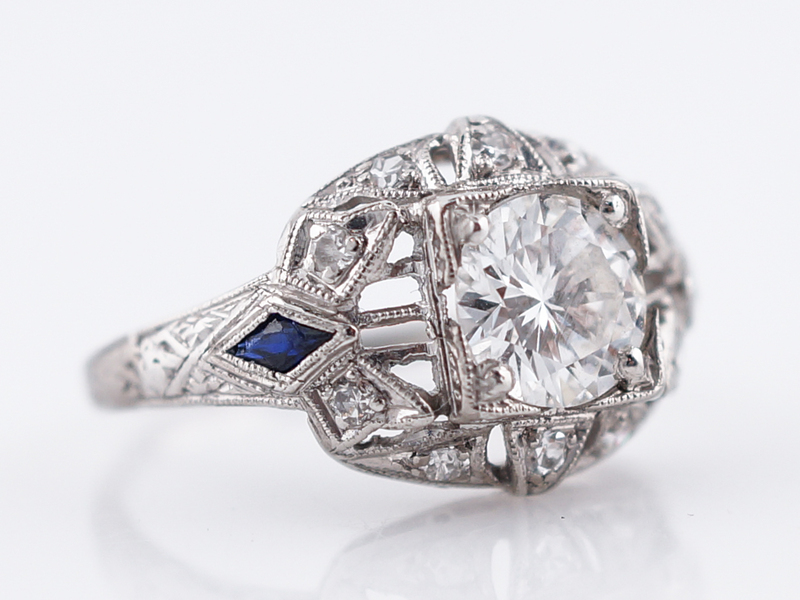 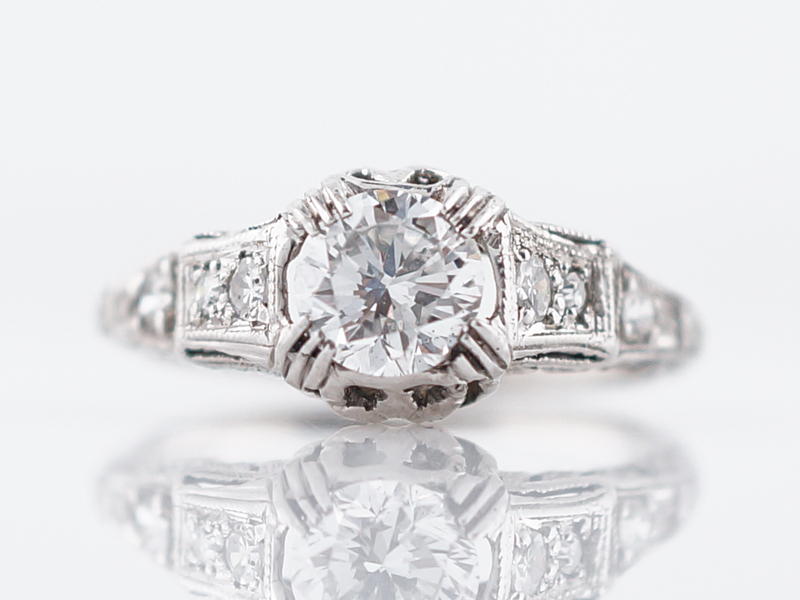 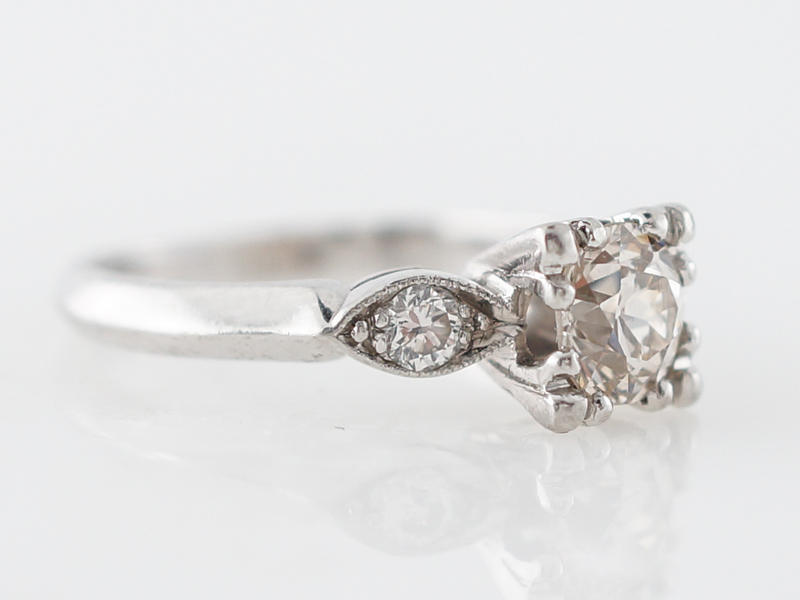 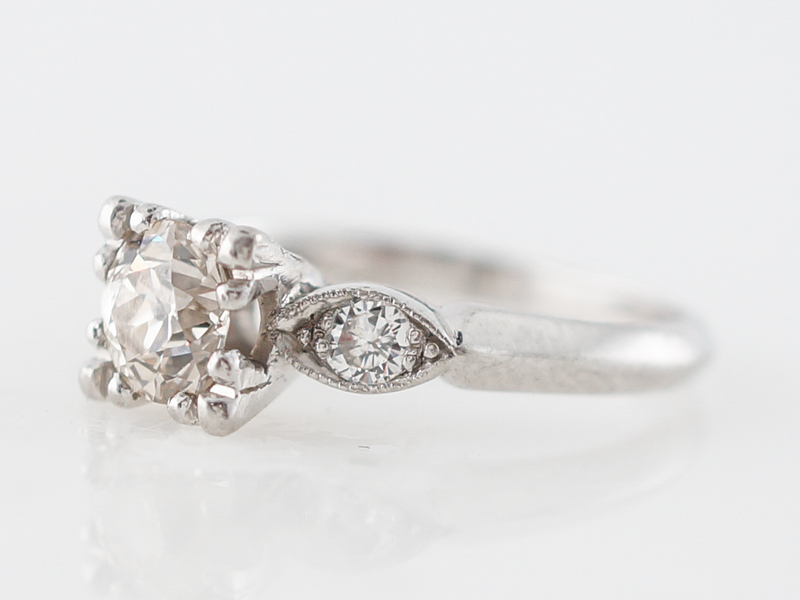 This original vintage art deco engagement ring features a .46 carat old European cut diamond. 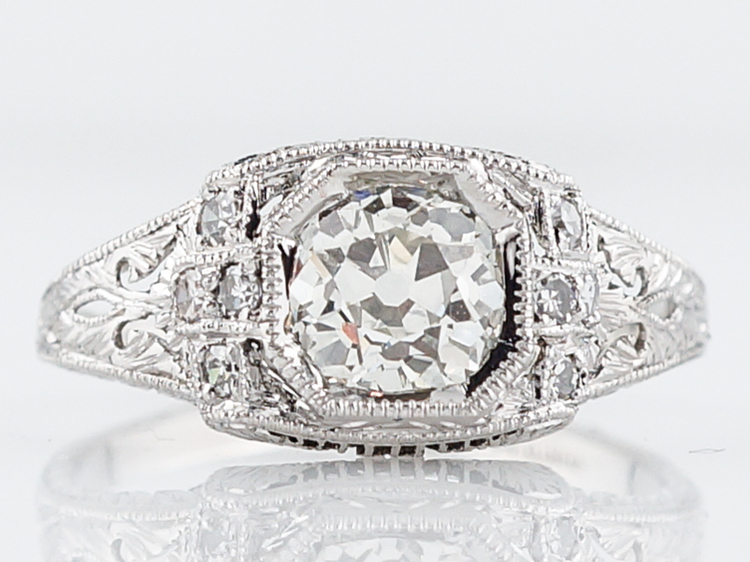 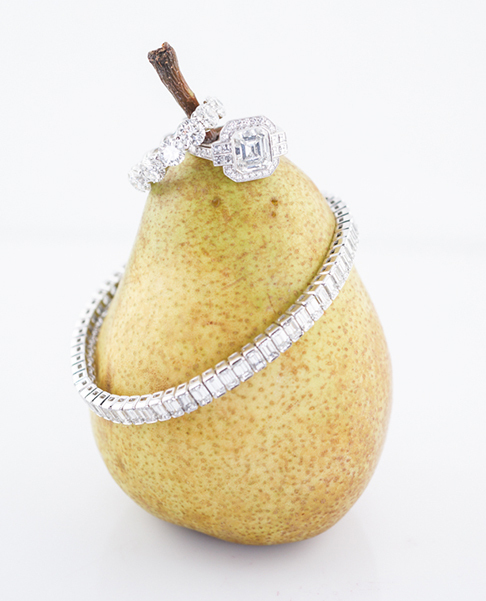 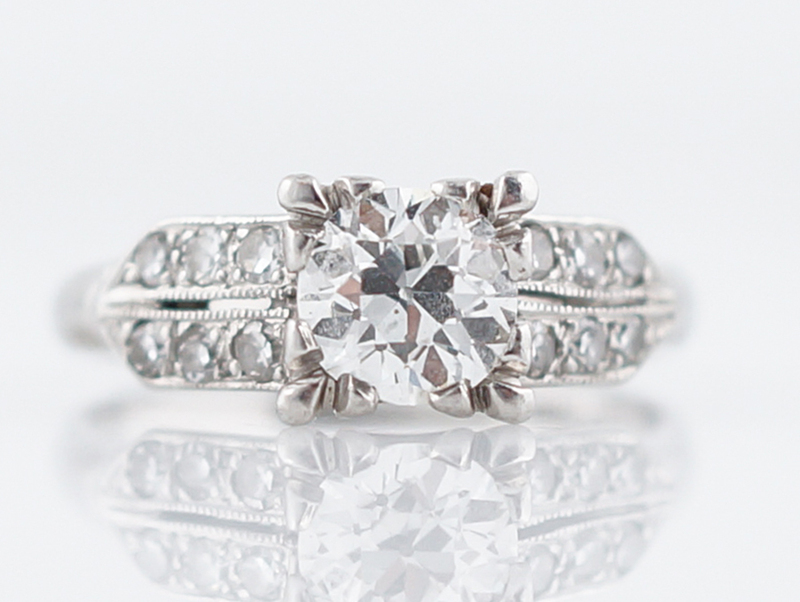 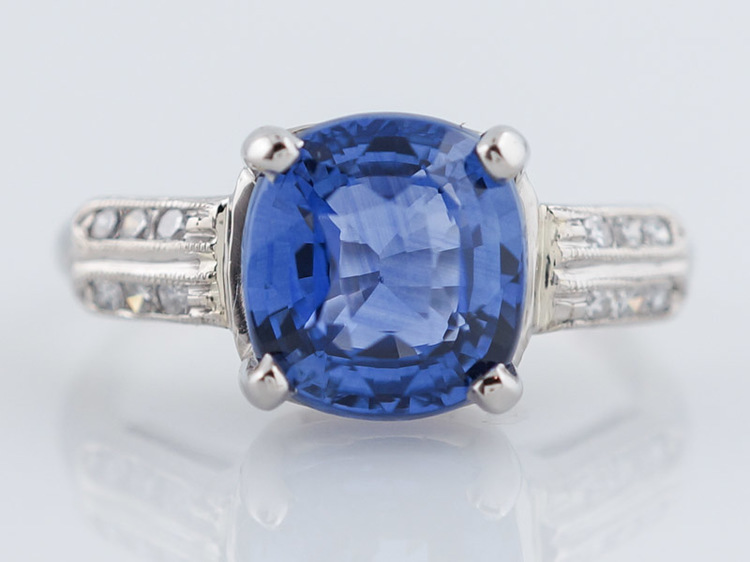 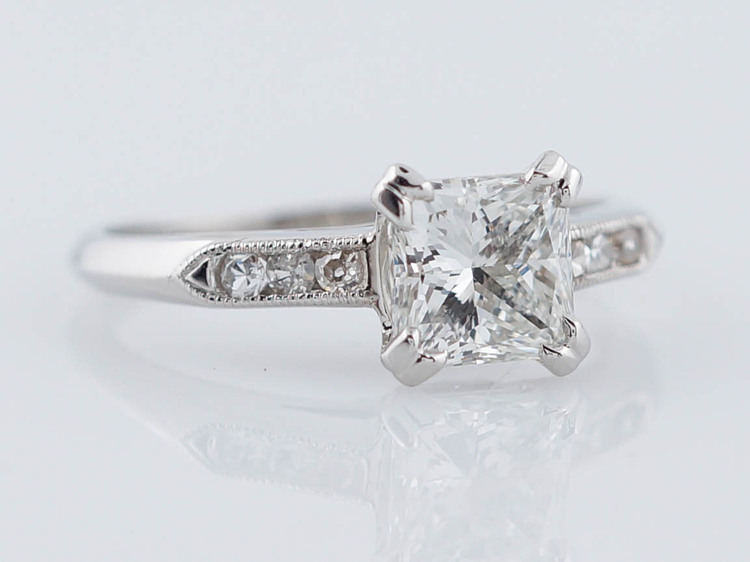 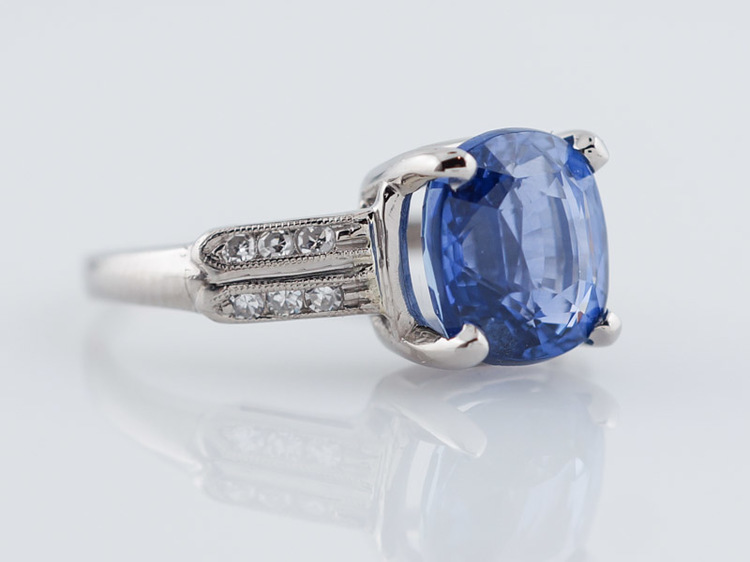 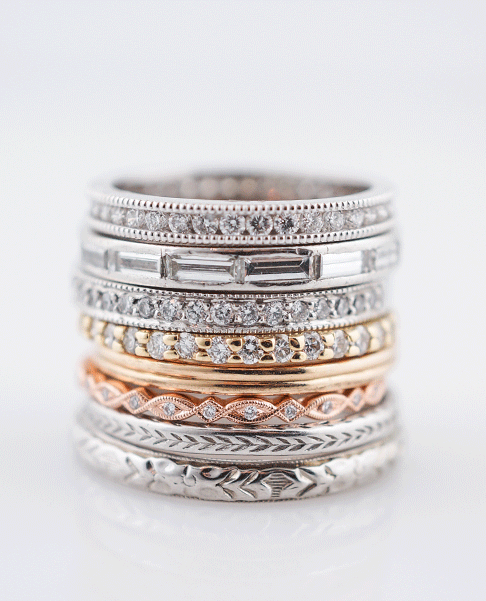 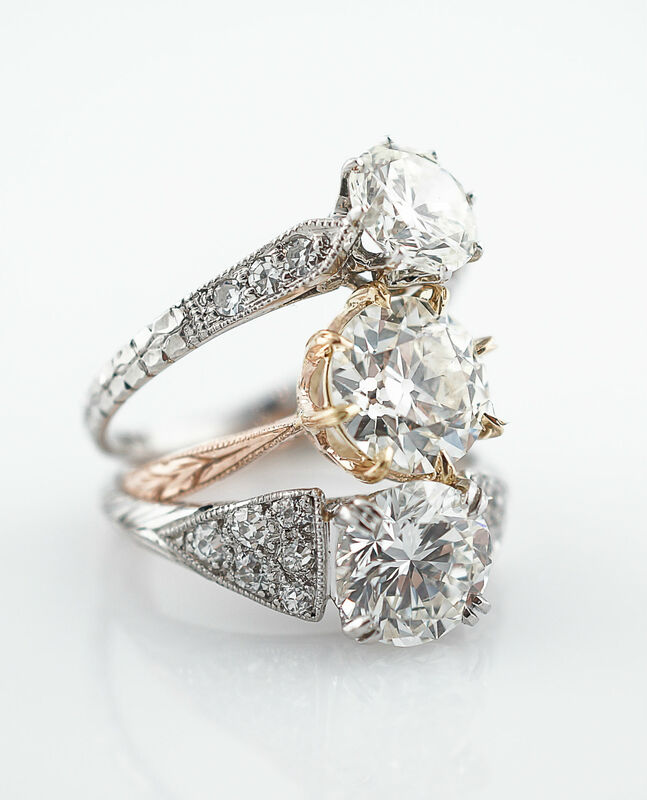 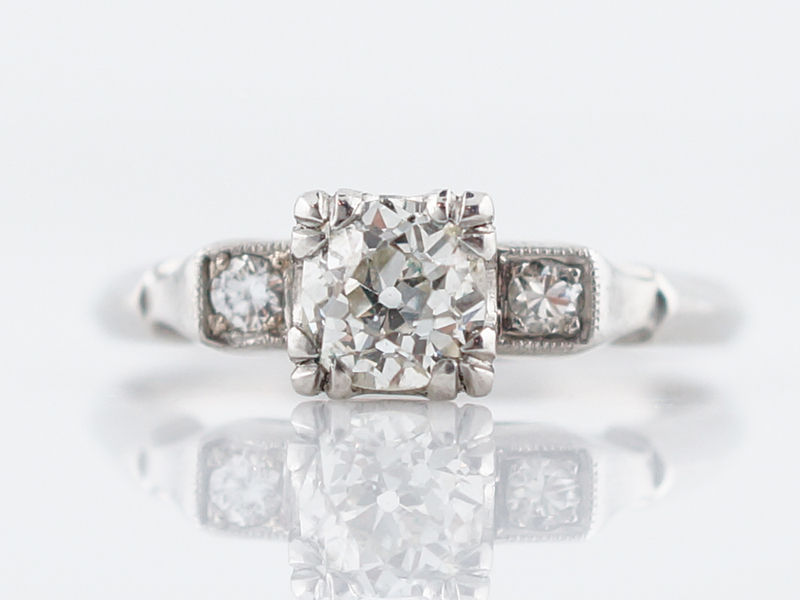 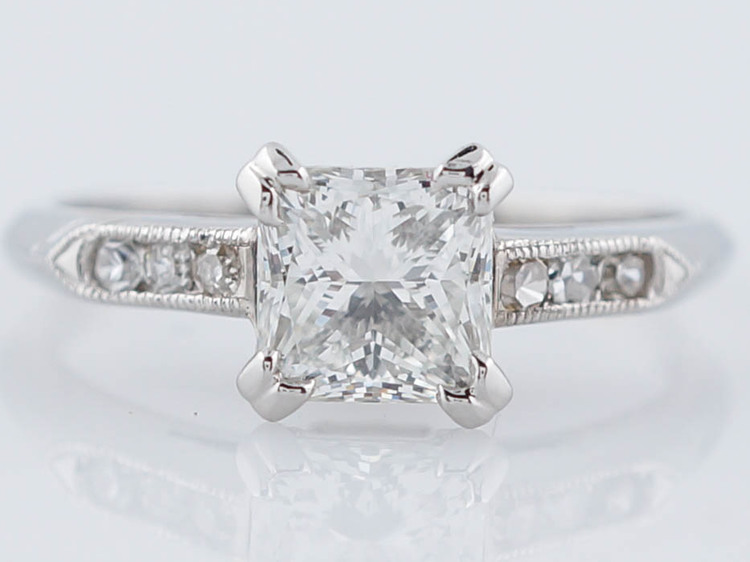 The center stone is held in a fishtail basket, giving the ring it’s classic appearance. 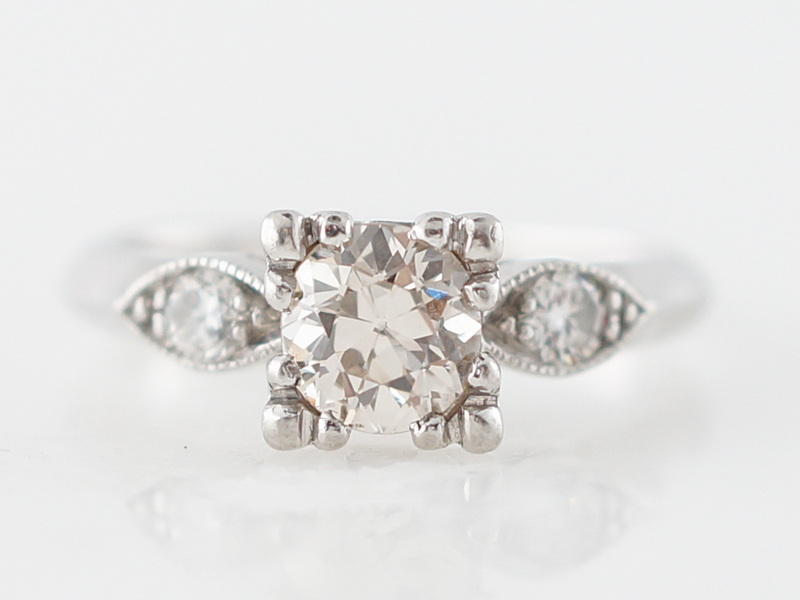 On each side of the center diamond sit a round brilliant cut accent diamond providing additional sparkle. 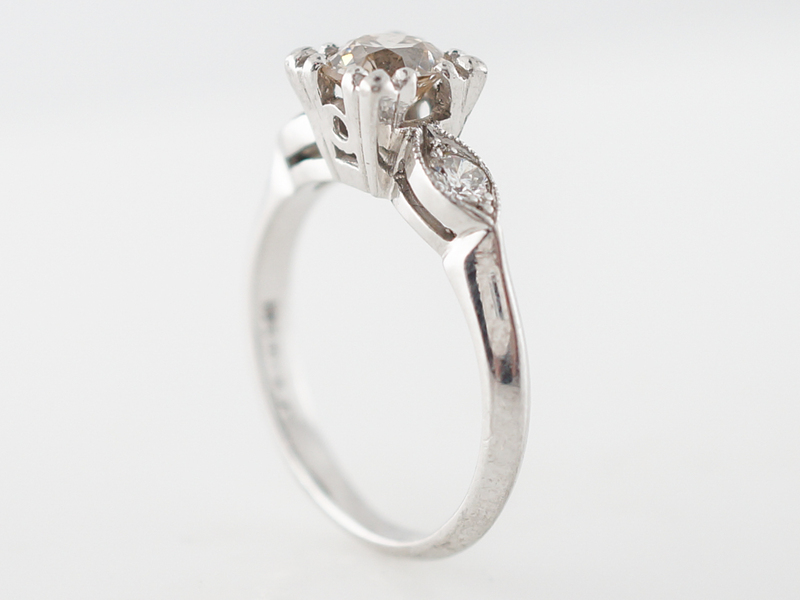 Finished in platinum, the band has a knife edge design common to the period, A truly classic solitaire engagement ring!